What a wonderful picture of your pretty girl. Aren't they great? Enjoy your little beauty. Join in and write your own page! It's easy to do. How? 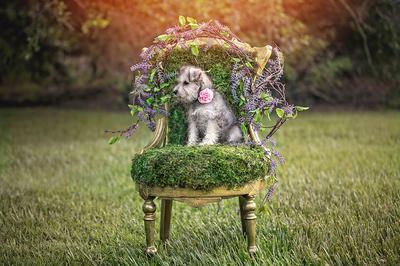 Simply click here to return to 2016 Schnauzer Photo Contest.